Aviation Updates Philippines - Under orders from Philippine President Rodrigo Roa Duterte, his spokesperson confirmed Boracay island will be closed from public starting April 26, 2018 amid the summer season getaway of foreign and local tourists. BORACAY CLOSURE. The shutdown of Boracay island will greatly affect the tourism industry of the Philippines. Thus, a need to market other destinations in the country is a challenge set to the government. Photo by Dirk Salcedo - PPSG/AUP. Earlier this year, Duterte tagged Boracay as a 'cesspool' and threatened to shut it down because of environmental concerns in the island. With this, the closure of the whole island is necessary to clean-up the mess that, after some time, worsened day by day. The public closure of Boracay will be a major hit in the tourism industry of the Philippines. Resorts, business establishments, travel companies, and most especially airlines will surely be affected with the upcoming closure. In line of the Boracay shutdown, Philippine Airlines and Cebu Pacific both announced cancellation of most of the flights to Caticlan and Kalibo, the two main gateways to the island. In a statement Wednesday, flag carrier PAL said it will be scaling down its operations in both airports. 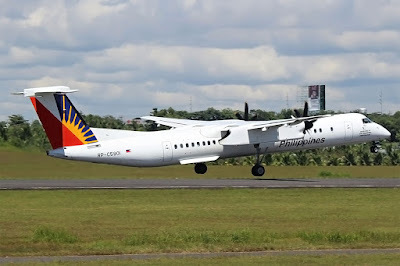 However, to maintain connectivity, PAL will still be flying from Manila to Kalibo nine times a week, and Manila to Caticlan seven times a week. "All other Caticlan and Kalibo flights from Manila will be suspended from April 20 to October 27, while flights to Caticlan from Cebu and Clark will be suspended from April 26 to October 27," a report by CNN Philippines added. However, PAL assured affected passengers will be able to rebook, reroute, or refund the tickets without any charges. PAL will add more flights to other destinations for the continual growth of local tourism. Flights to Cagayan de Oro, Cebu, Clark, Bacolod, Busuanga, Dumaguete, Iloilo, Puerto Princesa, and Siargao will get a boost this summer season. Low-cost carrier Cebu Pacific, on the other hand, will cancel most of its flights from Manila to Caticlan and Kalibo as well. Kalibo to Incheon (Seoul), Kalibo to Cebu, and Caticlan-Clark routes will be suspended from April 26 to October 27. Cebu Pacific will retain once daily Manila-Kalibo-Manila, Manila-Caticlan-Manila, and Cebu-Caticlan-Cebu flights. Affected guests will also be able to request a refund, travel fund, rebook, and reroute to any domestic destination. Tourists are advised to contact their travel agents to rearrange their travel schedules. Most have already cancelled hotel and airline reservations from as early as mid-March 2018 when Duterte announced the planned shutdown. With the closure of Boracay, the Philippine government is challenged to market other tourist destinations even further to stimulate the tourism sector in the country.